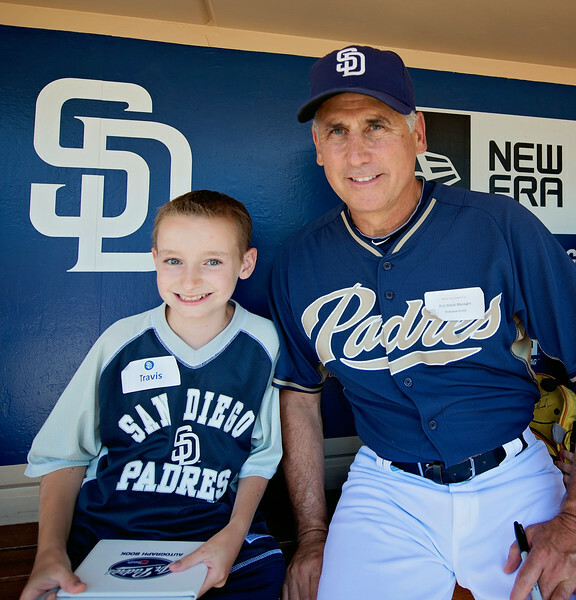 San Diego Padres with Make-A-Wish! 9/16/2014 | Travis the Warrior --- Kickin' Cancer! 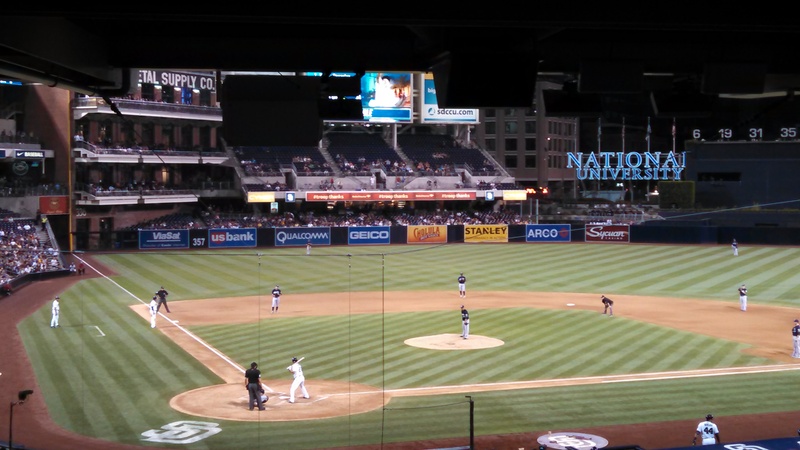 On Wednesday, 8/27, we were invited by Make-A-Wish San Diego for a night out to enjoy a San Diego Padres baseball game. This was more than just a night at the ballpark, this was the VIP treatment. We were greeted at the VIP entrance, given a bag of Padres swag and taken down to the field to watch batting practice, sit in the Padres dugout, meet some players, and get autographs. Then the Padres Manager, Buddy Black, came in the dugout and talked with us for a couple of minutes, signed some baseballs and took some pictures with us. WOW, that was very cool! He asked the boys to go rattle the players’ bats around to wake them up since they have not been generating many hits lately. Buddy is a very friendly and gracious guy who really made us feel at home. Then we were off on a behind the scenes tour of the Petco Park stadium. We did a similar tour a couple of years ago for Father’s Day but you always see something new or find out an interesting piece of information that you didn’t know before. The tour ended at a Luxury Suite where we were hosted by US Bank. They had all the food and drinks you could imagine. There was a couch, big screen TV, a couple smaller TVs, refrigerator full of refreshments and don’t forget our own private bathroom. It was an amazing way to watch a great game against the Milwaukee Brewers. Well, the bat rattling must have worked because the Padres started hitting and took the win 3-2. Go Padres! 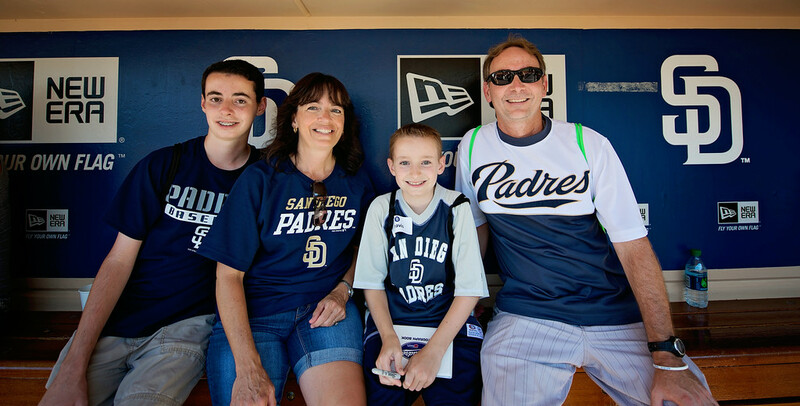 We can’t thank Make-A-Wish San Diego, the San Diego Padres, and US Bank enough for providing us with such an awesome experience. Thanks also to Trevor, the photographer, who captured some great images. You all made us feel so special and we are very grateful to have been a part of the VIP Night. You can see some more pictures in the Photos section.